Out on the edge of the old world, on the blue-green ribbon of machair and mountains which makes up the Innse Gall, the barking of a seal punctuates the regular lapping of the Minch in the rugged, rocky, haven of Loch Aineort. Or at least, I imagine it will. 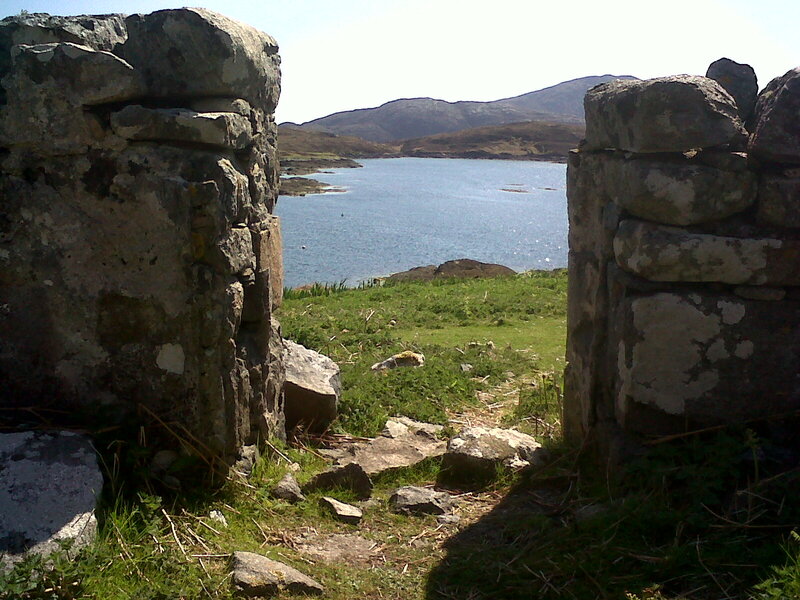 In 2 weeks, I head out to my favourite archaeological landscape: Loch Aineort, on the east side of the Island of South Uist, in the Outer Hebrides of Scotland. Blogging won’t be easy, given that a phone call can be a challenge there – that’s why I’m writing this pre-emptive blog, which will be posted on my behalf, while I’m cold, damp, and midgey-bitten in my favourite archaeological landscape. Loch Aineort was once the main port for the Uists back in the 18th century, when the MacDonalds of Clanranald wielded their power from here across the seas. 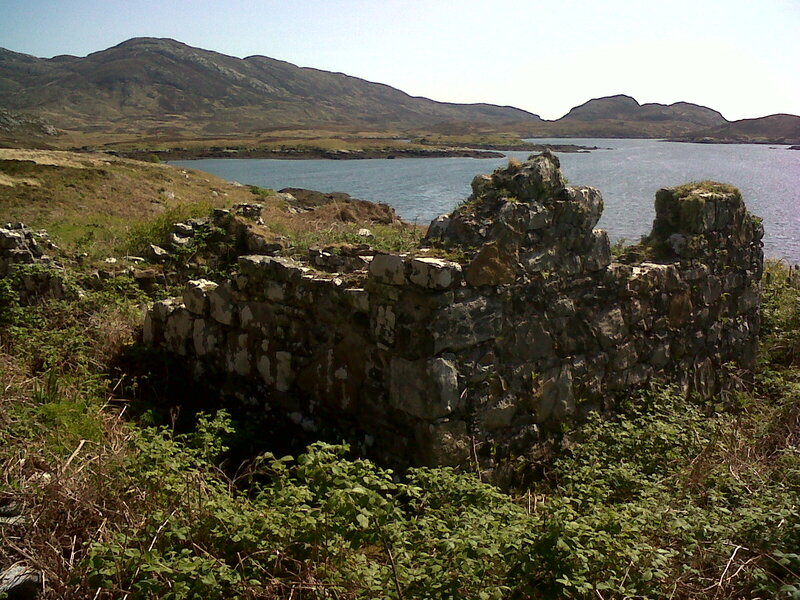 The ruins of an inn lie choked in scrub at the head of the Loch, a place where a dry roof and a warm fire would have been heaven for travellers coming ashore from many of the small stone-built and rock-cut moorings nearby. Blackhouses, the low, round ended byre-dwellings of the 18th and 19th centuries, dot the landscape, nestled down against the wind. A glance at an aerial photograph of the area reveals cultivation remains everywhere: scars left by the Cas Chrom, the foot plough, cover the tiny tidal island of Riosgaigh where 10 crofters had a share of potato-land in 1805. The Loch has bore witness to great events: it was probably from here that Clanranald departed with his men for the Jacobite rebellion and Culloden. One of his men chose Loch Aineort as the setting for what was to become one of the most significant and beautiful poems ever written in the Gaelic language. His description of sunrise illustrates why it is my favourite place: it is the perfect example of a true archaeological landscape: a place where the land, people, and culture are intricately entwined. –Alastair MacMhaistir Alasdair, The Galley of Clanranald c1751 (Trans. R. Black).